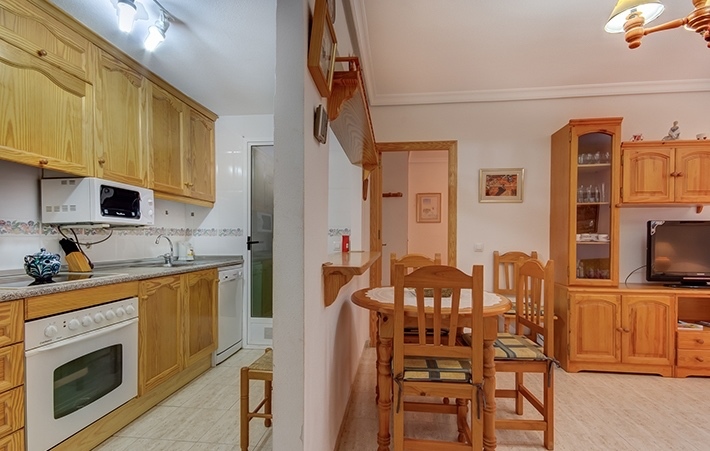 This apartment opens onto the sitting-dining room with adjacent open kitchen, fully fitted with white goods and with a utility room at the back. 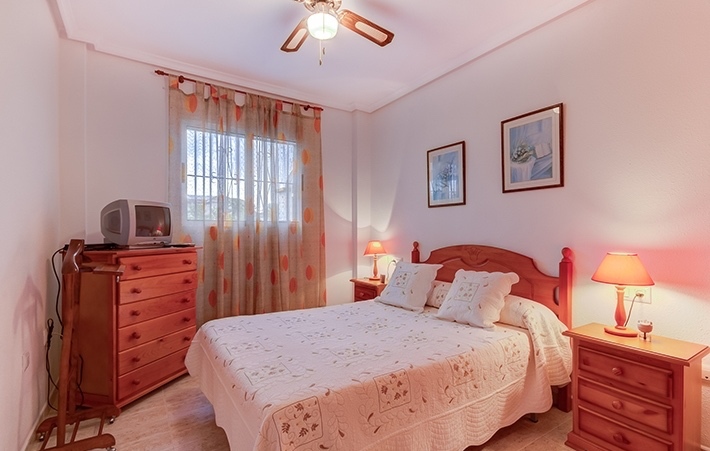 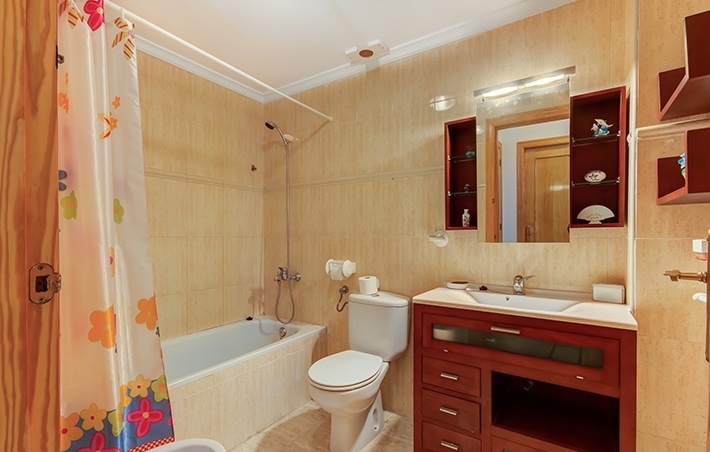 There are also two double bedrooms; both with fitted wardrobes and ceiling fans and a family bathroom with bathtub. 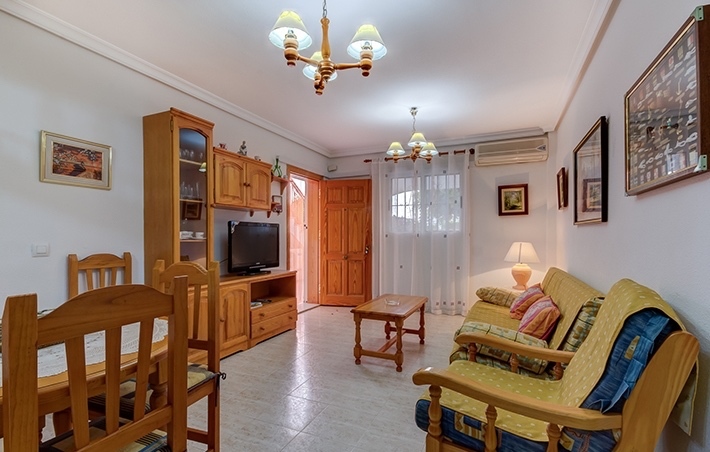 The apartment has air conditioning in the living room and it is sold with a parking space. 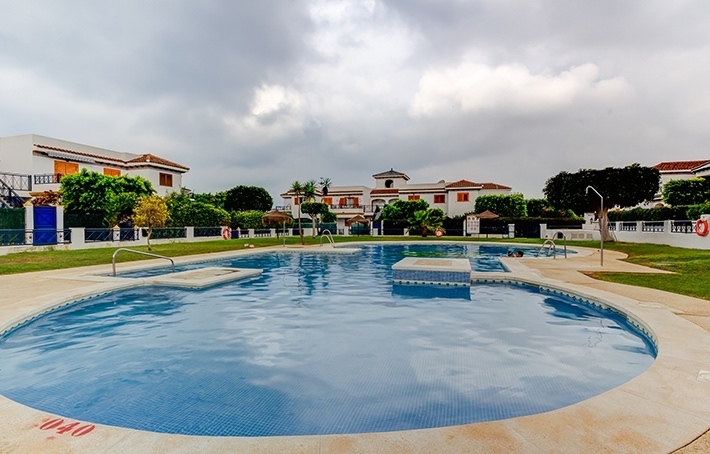 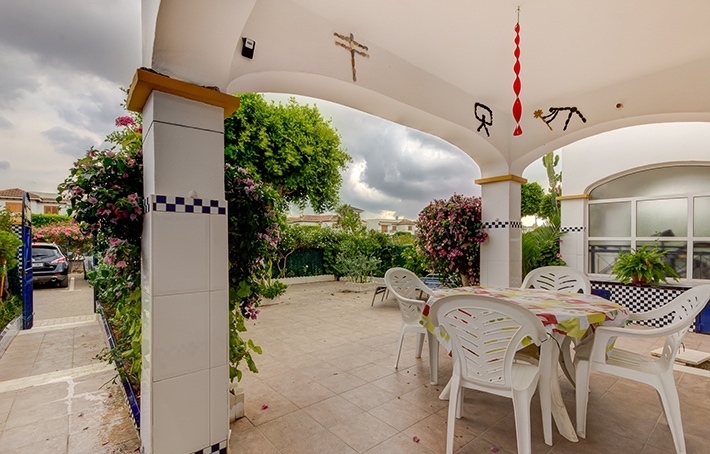 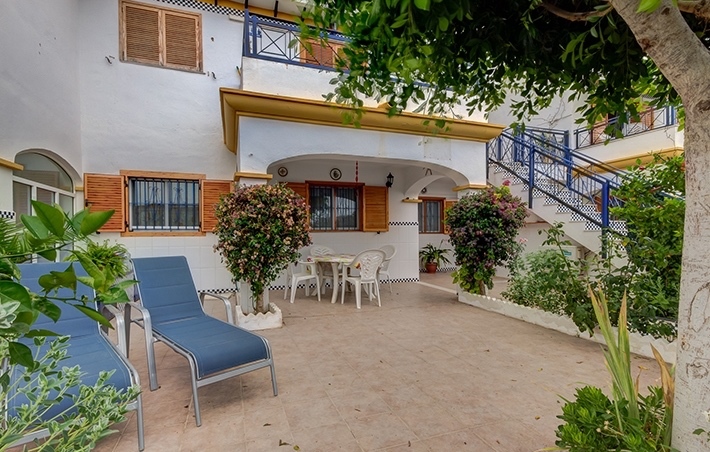 Veramar II is a very well tended urbanisation with green areas and outdoor swimming pool; it is at walking distance to the beach and only a few kilometres from the villages of Garrucha, Vera and Villaricos.